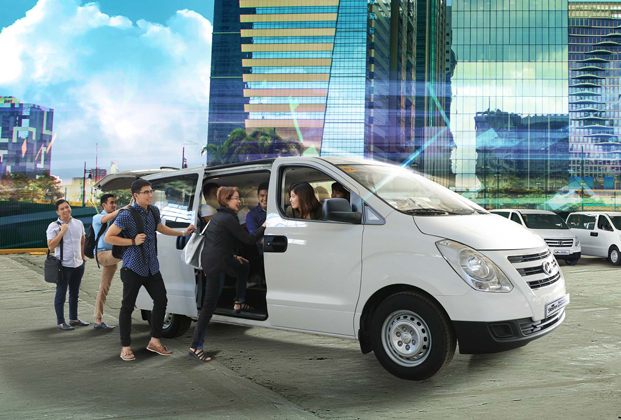 Hyundai Asia Resources Inc., the Philippines’ official distributor of Hyundai vehicles, has finally launched the new Hyundai Grand Starex Super Express in response to the fast-growing commuting needs of mobile Filipinos. The Grand Starex Super Express is the commercial version of the best-selling Grand Starex, which has received a wide-range of awards (from Most Comfortable Ride, Best Safety Features, Best Engine Performance, Best Full-size People Carrier, to Automobile of the Year) from various award-giving bodies since 2001. While the Grand Starex aims to give luxurious comfort to families on-the-go, the Grand Starex Super Express was engineered with the Filipino commuters and drivers in mind, for Hyundai truly understands the daily stress of commuting in a cramped space, travelling in back- breaking seats and embarking/disembarking to the inconvenience of other passengers. Whether people or cargo, the Grand Starex Super Express is ready to move with utmost comfort and efficiency. 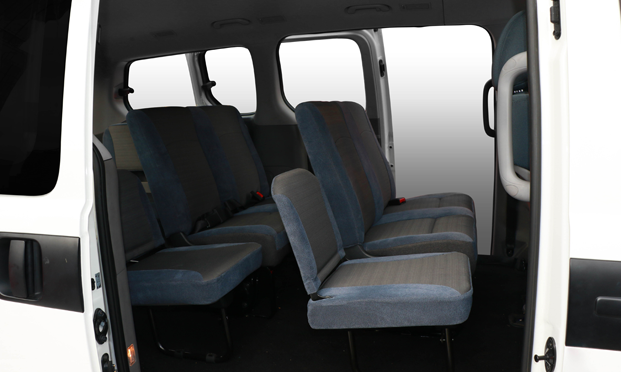 Having the widest interior space, it gives more leg room and hip room for passengers than most shuttle vans. What’s more - the Grand Starex Super Express’ 15-seating capacity is multipurpose: simply fold the bench-type rear seats, and you’ve got your own transport vehicle that is perfect for your long, tall and wide cargos. Designed to be passenger-friendly, the Hyundai Grand Starex Super Express stands out from the other 15- seaters in the market with its double sliding doors. These doors allow passengers to load and unload from both sides of the vehicle, making it a game-changer in the transport industry. Commuting doesn’t have to be noisy and hot like the traffic outside. The Grand Starex Super Express is powered by a 2.5L TCI diesel front-engine, rear-wheel- drive that isolates engine noise and prevents rising temperature under the seats of the drivers and passengers which are prevalent among commuter vans of today. Passengers will always recall their pleasant commuting experience with the Grand Starex Super Express because it guarantees an equal, accessible and powerful air conditioning system. With A/C vents evenly distributed from the front seats up to the last row, it’s easier for everybody to keep their cool with the Grand Starex Super Express. The Hyundai Grand Starex Super Express brings peace of mind with its 3-year or 100,000 kilometer warranty—a premium benefit for vehicles used for commercial purposes. With the Hyundai Grand Starex Super Express, you can finally change the way you define “commute”. Suggested Retail Price is at P1,398,000.